eBrit Fire are proud to support Cancer Research UK and hold regular fundraising events and initiatives to support this worthy cause. We are also active in promoting local sports teams and individuals, these are listed below with regular updates on their achievements and progress. 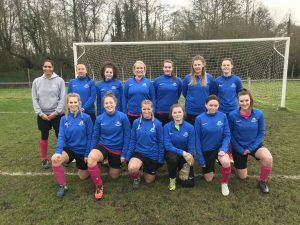 Harefield Cricket Club Ladies Football Team was started in 2015 and is based at the Harefield Cricket Club. They have recently won the 1/4 Finals, the semi finals date will be published soon.